Create fun and engaging rewards for just about anything you can think of. Each pack comes assorted 2 designs, 12 of each, and 24 silver Scratch-Off stickers. 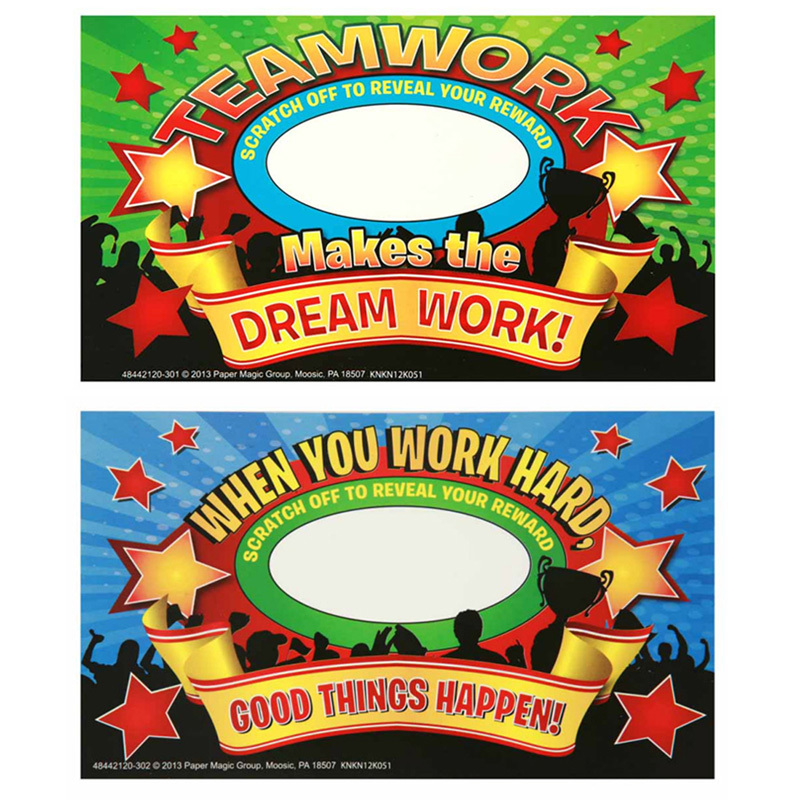 Write in a reward, motivational words, game clues, etc. and then cover it up with specially designed sticker taht students can scratch.